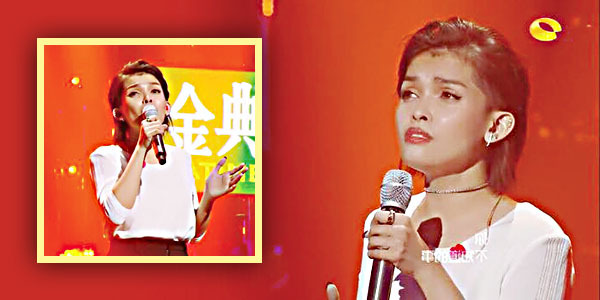 LAKING pasalamat ni KZ Tandingan nang hindi siya mapauwi ng Pilipinas dahil nalaglag siya sa 6th place sa nakaraang 6th episode ng singing competition na Singer 2018 na ginanap sa China noong Biyernes. Bagamat nasa 6th place si KZ ay nasa Top 4 pa rin siya nang pagsamahin ang nakuha niyang score sa 5th episode at 6th episode kaya mananatiling regular challenger ang Philippines’ pride. Nakuha ni Hua Chenyu ang 1st place, si Jessie J (UK) ang nasa 2nd place, 3rd place si Angela Chang(Taiwanese singer), 4th place – Wang Feng (Chinese rock star), at 5th si Li Jian (Chinese-Mandarin-pop/folk singer). 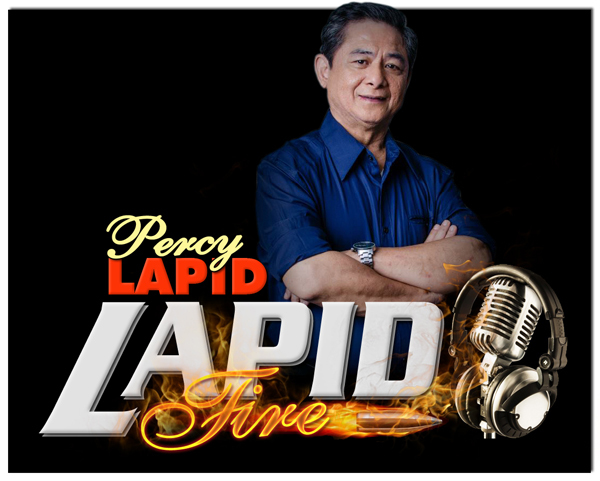 Marami ang nagulat kung bakit Mandarin songs ang napiling contest piece ni KZ gayung hindi ganoon kadaling pag-aralan ito lalo na ang tamang pagbigkas sa maikling panahon. Kuwento pa ng Soul Supreme ng Pilipinas, nagustuhan niya ang melody ng kantang may English title na What Do You Want from Me na kinanta ni Joker Xue, sikat na Chinese singer/record producer at actor. “I actually heard this song (What Do You Want from Me) by accident, I instantly fell in love with the melody of the song. When I found out the song really meant, I fell more in love with the song,” say ng dalaga. Tatlong sikat na awitin ang ginawang medley KZ, ang What Do You Want from Me (Joker Xue); All The Things You Never Knew (Leehom Wang), at Still Hurting (Power Station). Grabe ang emosyon ni KZ habang kumakanta at ipinakita ang Chinese audience na nanonood na feel na feel nila ang bawa’t lyrics ng kanta at ‘yung iba ay tumulo pa ang luha. Napangiti si Jessie J sa umpisa ng kanta ni KZ at nakatitig naman si Hua Chenyu at ibang katunggali niya dahil alam nilang mahirap ang piyesa ng tatlong kanta. May nagsabing, ”not easy for her, so hard (pagkanta ng Mandarin song.” Hirit naman ni Wang Feng, “good, I think, she picks the right songs too.” At ”a lot of facial expression and very touching, too,” sabi rin ng taga-Hunan TV. Pagkatapos ng performance ni KZ ay ipinakilala niya ang sarili sa salitang Mandarin at isinisigaw naman ang pangalan niya ng lahat at sabay heart sign kaya teary eyed ang dalaga. Samantala, may kuwento pala sa likod kung bakit ang Mandarin classic songs ang kinanta ni KZ. Base sa kuwento ng Vice President ng Cornerstone Entertainment na si Jeff Vadillo, ”The decision for the second song turned out to be very challenging for KZ. “KZ and the Philippine team wanted for her to sing another one from her existing repertoire (Something like ‘Rolling in the Deep’) but our Chinese partners felt otherwise. They were impressed with the mandarin songs she submitted during the auditions and they believe we had to introduce a mandarin song the soonest possible to endear her to the Chinese market since KZ entered the competition almost halfway already in the season. “They gave different song choices until our music producer played a song medley to KZ that was originally intended for another singer. The title of the medley is ‘The Pain Which You Don’t Know’. It‘s a collection of three popular sad songs beautifully woven to sound as one. It was love at first sight when KZ heard it and all of us were immediately drawn to the song. “The anchor song of the medley, ‘What Else Do You Want From Me’ is a pleading of someone who after giving his all still ended up being left by that very person he loves. That chorus was so beautiful and painful – even becoming more heart wrenching when KZ sang it. “KZ practiced daily for that song for two weeks the hardest part was not just the melody but the pronunciation. In Mandarin, every syllable that’s wrongly pronounced can entirely change the meaning of the word. So, on she worked with a mandarin coach in Hunan and in Manila. I’m just loss for words to describe the effort, dedication and focus she’s put in studying that song. “On the recording date, one of the Chinese staff saw Mr. Hong (the producer of ‘Singer 2018’) cry during rehearsals for this song. Jackie Tam, her music partner said he loved her version more than the original and production told us it was the most accurate rendition of a Mandarin song from any foreign contenders in the show’s history. “Though KZ did not end on the top rank in that episode but her performance was enough to put her from being a challenger to a regular contender in the show.